« Older: Letter to the Editor: NO Saga Humane Society? 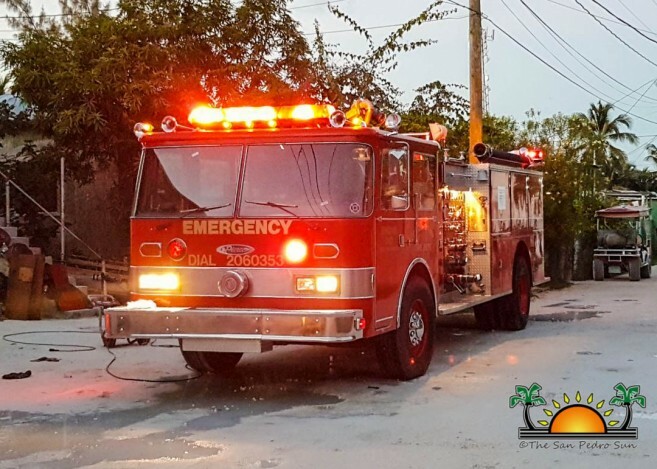 Following San Pedro’s most recent fire in the Boca del Rio on August 4th, which left more than 100 persons homeless, Belize Telemedia Limited (BTL) has announced that they will be donating two fire trucks to the island. The announcement was made on Wednesday, August 29th by BTL’s Chief Executive Officer Rochus Schreiber, who confirmed to the media that the trucks have already been identified and are expected to be delivered to San Pedro before Christmas. In the wake of the Boca del Rio fire, Ted Smith from National Fire Service had commented that they were working with BTL to acquire the fire trucks. He stated that BTL had approached them and they were discussing the possibility to acquire the trucks. He said the current units at the fire station on the island are very old and should have been replaced a long time ago. He hopes that these new trucks will better equip the island’s fire department. Schreiber indicated that San Pedro is not just one of the most important areas in the country, but it was also the first municipality where they installed their new fast-speed fiber network internet service-Diginet. He said that after the fire on June 12th at the island’s southern Escalante sub-division, where four residents perished, they approached the local authorities on the island and Government. “Between the Mayor of San Pedro and the Fire Department, they identified their most urgent needs,” said Schreiber. “Then together, we worked out on how we could help them to find those trucks, how to find the financing for those trucks and deliver them as quickly as possible to San Pedro,” Schreiber said that BTL is ready to pay for the trucks as soon as they are ready to be shipped to Belize. The fire in June destroyed two houses and claimed the lives of four members of the Bacab and Nuñez family. The unprecedented tragedy started in a two-story building where 30-year-old Clara Bacab Nuñez and her son 14-year-old Allan Nuñez, daughter 6-year-old Mia Nuñez and niece 16-year-old Lidia Chelin Catzim Bacab were trapped in the inferno, while her husband David Nuñez and older son 16-year-old Samir Nuñez were able to get out badly injured. A tenant living on the ground floor, Tracy Cruz, managed to escape with her two young children through the bathroom window. The blaze at Boca del Rio did not claim any lives, but did destroy ten homes and lasted over three hours before it could be contained. Even though water almost surrounds the area, the fire department was unable to prevent the inferno from destroying everything in its path. The fire is still under investigation, as arson has been declared as the cause of the blaze. No one has been arrested as yet. 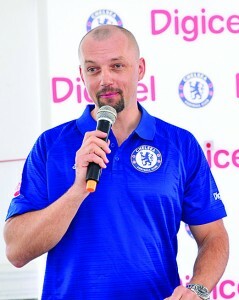 The donation of the trucks by BTL is expected to boost the level of response from the island fire personnel. The fire department is also expected to receive water pumps before the end of the year from Government. A delivery date for these has not yet been established.